GCTV is looking for volunteers to tape local sporting events. We will provide all equipment and training needed. Contact manager@gctv16.org for more info. Granby Community Television, Cox Channel 16 is proud to announce that it is now broadcasting all programming via a "Fiber Optic" connection. This gives GCTV's broadcast signal unprecedented quality and reliability. We at Granby Community Television are always striving to better serve the communities it represents. Need a GCTV Form? Click on "Downloads". How do I access the programming on Granby Community Television / GCTV Cox Channel 16 ? With the introduction of the Cox "Mini Box" GCTV programming is always available on Channel number "16". Another option is to go to the GCTV website which provides Internet access to all Locally produced programs. The website address is www.gctv16.org. For those with AT&T or a satellite television provider the website is the only option for now. Calling your provider to request the addition of GCTV Channel 16 to your line up will support efforts to achieve this in the future. Granby Community Television with the support from the Tri-Town Cable Committee produces local programming for the towns of East Granby, Granby and Hartland. We have recorded over three thousand town meetings and local events since going on the air in July 2006. GCTV is committed to supporting the continued availability of locally produced programming. 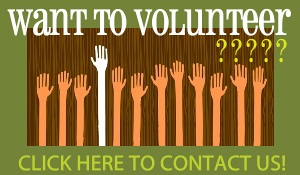 We are always seeking volunteers to help in taping and producing shows. You can contact the station through the website. If you have any difficulty accessing our programming in any way please contact GCTV Station Manager, Mark Bombard @ 860-712-8754.